Tuition and fees for Safe Harbor Academy, the Christian therapeutic boarding school depicted n the Hallmark movie, Safe Harbor. – therapeutic boarding schools and private therapeutic schools. 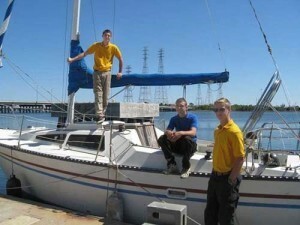 Safe Harbor‘s program is unique and the opportunities presented here are unparalleled for your son. The program is funded exclusively by donations and tuition payments (we receive no government funding). We charge tuition that is roughly 50% what it costs us to keep boys in the program, and that is as much as 75% less than what normal therapeutic boarding schools charge. The remainder of our expenses and capital equipment and buildings are funded by personal and corporate donations. Just as your family must meet its financial obligations, so Safe Harbor has to meet its own, otherwise we could not offer the help your son and family needs. Parents or family members are required to participate financially in sending their boy to Safe Harbor. Our obligation is to move him away from bad decisions and bad behavior, helping him become a man of character, integrity, and vision. Please call or inquire online for our current tuition rate. There is no additional charge for any of the academics or vocational programs offered at Safe Harbor, including maritime trades training. Families are responsible for paying these expenses. We will present your insurance information to the provider. We request families with insurance plans check the provider list in Duval County prior to admission. This will be discussed further during the intake telephone call and/or admission planning. Tuition fees are required to be paid monthly. Many residents have been admitted to Safe Harbor through a group effort of individuals including churches, Sunday school groups, cell groups, donations from those at work. Since Safe Harbor is a charitable nonprofit, often times employers will match gifts to Safe Harbor. Ask your company Human Resources department. Some states may provide funding for your boy’s education in Florida. Safe Harbor does not accept insurance. We are not a “treatment” center. Your insurance carrier may cover some costs at Safe Harbor having to do with the counseling that we provide, however we cannot determine for you if your insurance company covers our expenses and we will not negotiate with your insurance company. Should you need help finding homes for troubled youth, Christian boarding schools, alternative schools, ranches for troubled teens, please let us know. Safe Harbor is among the top therapeutic schools, our therapeutic boarding schools for boys; one of few residential treatment centers and residential schools for teens that is affordable. As a home for troubled boys it serves at-risk boys, we help boys in Florida, Georgia, in Kentucky, in Tennessee, in Missouri, in Louisiana, in Arkansas, and in Texas. Plus, in the Midwest in Michigan, in Ohio, in Indiana and in Illinois. Mostly, troubled teens from homes along the east coast including in Virginia, in North Carolina, in South Carolina, in Pennsylvania, in New Jersey, in Massachusetts and in New York are provided counseling and therapy. Tuition and fees for Safe Harbor Academy, the Christian therapeutic boarding school depicted n the Hallmark movie, Safe Harbor.